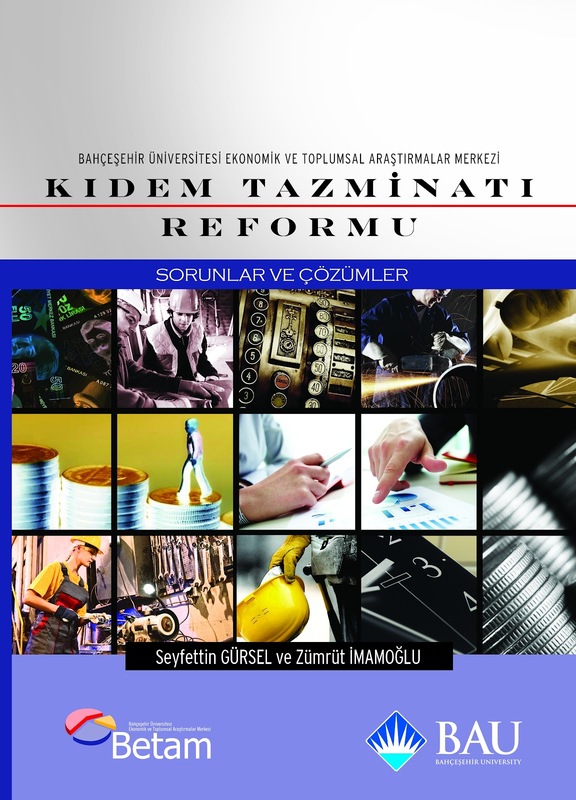 The Bahçeşehir University Center for Economic and Social Research (BETAM), of which I am a director, last Thursday published a report on how to reform the current severance pay system (“Severance Pay Reform: Problems and Solutions”). Minister of Labor and Social Security Faruk Çelik announced in the spring that his ministry was devising a new system based on monthly regular premium payments to be accrued in individual accounts. Deputy Prime Minister Ali Babacan said he supported the reform, but there is neither a plan that has been revealed to make a legislative change nor open support from Prime Minister Recep Tayyip Erdoğan. There is, however, a strong preemptive opposition from trade unions threatening the government with a general strike. Obviously severance pay reform is politically difficult as are many other reforms, but nevertheless I believe that it is one of the most needed. I have constantly argued in this column that the Justice and Development Party (AK Party) government must implement without delay the structural reforms it promised in the Medium-term Program (OVP) in order to secure satisfying gross domestic product (GDP) growth in the future. “Satisfying” means an average of 5 percent at least if high unemployment and poverty are to be fought properly. However, this growth performance is not at all guaranteed. The latest macroeconomic indicators show that the Turkish economy would grow at best by around 3 percent this year, lower than the 4 percent forecast in the MTP. It is true that 2012 is the year of rebalancing the high but unsustainable growth based on domestic demand that was fueled by external borrowing. However, it should be underlined that a low growth policy [3 percent] can continue in the future if exports do not rise more than imports. The change in growth policy requires more competitive power as well as higher domestic savings. This is easier said than done. Tight monetary and fiscal policies have to be pursued, but they will not be sufficient if they are not accompanied by productivity and saving enhancing reforms; one can have a sustainable but at the same time a low growth policy, which would not be acceptable to the AK Party. The Treasury and Ministry of Finance are fully aware of these challenges since the MTP foresees a very comprehensive and radical reform agenda. It is important, but at the same time difficult reforms on this agenda are obviously those related to the labor market and to tax systems (see my column “Fiscal devaluation for Turkey,” April 1). The two main pillars of labor market reform are the setting of the minimum wage at the regional level and the reshaping of the very rigid current severance pay system. The regional minimum wage idea included in the National Employment Strategy has already been abandoned, so the same fate might be awaiting the severance pay reform. The severance pay system foresees one month's pay for every year worked if the worker is fired for a reason other than personal fault, and when he retires. In case of resignation nothing is paid. Social security statistics indicate that less than 10 percent of wage earners can benefit from severance pay in practice for a variety of reasons: First, one out of five wage earners are informally employed. Second, many firms fire at the end of December and hire beginning in January in order to avoid paying severance, which requires one full year of work. Third, some firms, when they decide to fire a worker force them to resign -- harassment is quite frequent -- and sometimes these firms request letters of resignation from the workers when they are hired. Fifth, if a firm has defaulted it is very rare that its workers will get severance pay. Actually only wage earners working mostly in state-owned enterprises and in big private corporations effectively receive severance pay. So the current severance pay system benefits a minority of workers while it pushes firms, particularly small and medium-sized ones, to either have their workers go unreported to the Social Security Institution (SGK) or to underreport their wages, thus expanding the informal economy. The current system also increases hiring costs, constrains employment because of high firing costs and creates a hindrance for workers who are able to find better jobs as they can only quit their job if they give up their accrued severance. The same kind of hindrance also applies to firms that would like to fire unproductive workers who have worked for the company for many years since firing would be costly. These two-way constraints are called “unproductive mismatches” in labor economics. A monthly premium payment in individual accounts will automatically solve some of the problems like conditionality and unproductive mismatches. Also it would help domestic savings through a strong effect on financial literacy and the strengthening of financial markets, which the accrued premiums would be invested in. The critical issue of the reform is of course the level of the monthly premium. If it is set too high, the close to actual rate of 8.3 percent, labor costs will increase unacceptably and further jeopardize competitiveness by pushing up the underground economy as well as unemployment. But if it is set too low it, would be harder to defend the reform. BETAM suggests a premium of 4 percent, but only 2 percent in additional costs to firms, while 2 percent would be transferred from employee premiums. Last but not least, in order to avoid the trade unions' excessive reaction, BETAM suggests giving current wage earners the choice between the “old regime” with its risks and the “new regime” with its promises.